The theme extends standard functions for WordPress menu and makes it more flexible and powerful. In order to create menu, you need to go Appearance->Menus and click create a new menu. After that add new items to the menu as you usually do it with WordPress and click "Save". 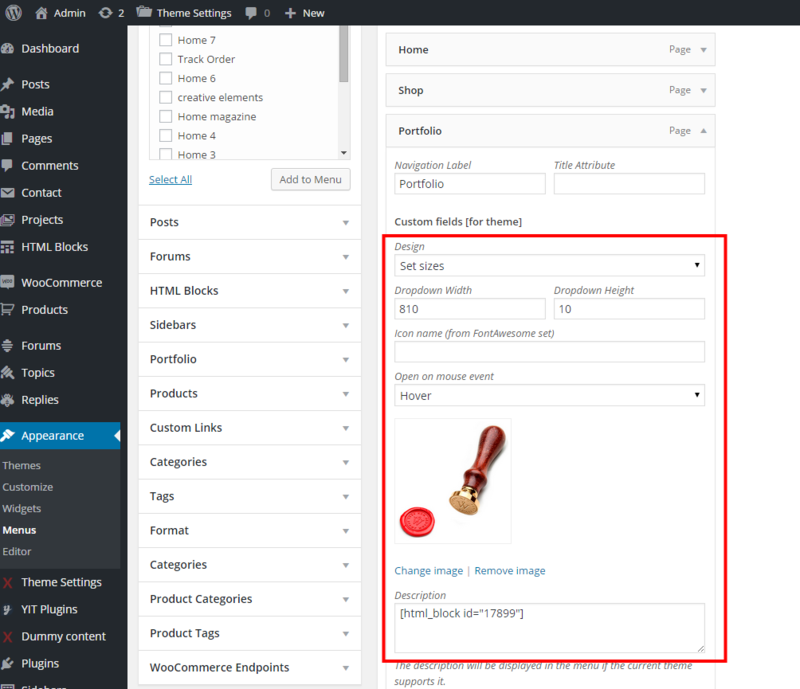 You will see new fields editing menu item like Design, Icon name, mouse event, and image. If you want to add widgets or shortcodes (posts, products, images etc.) you can create HTML Block and put it's shortcode to the Description field.